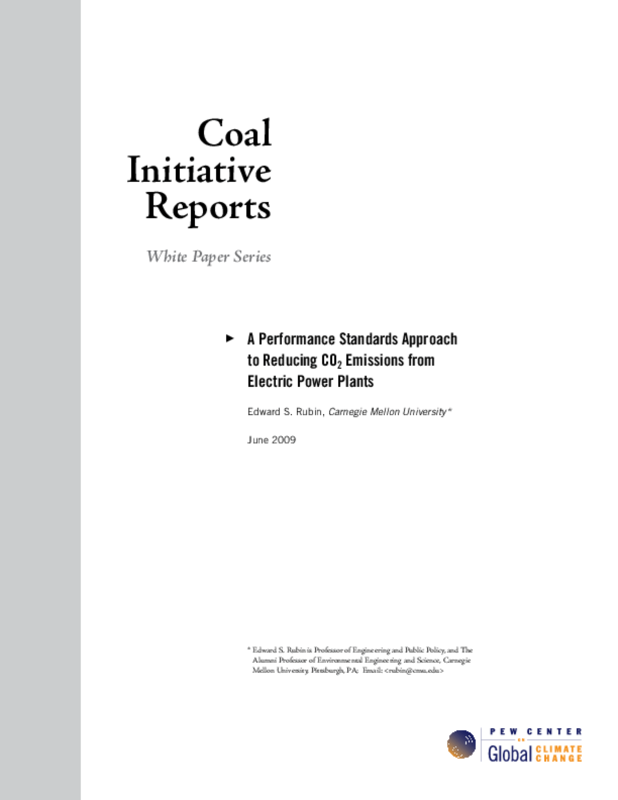 Evaluates options for applying performance standards limiting carbon dioxide emissions from coal-fueled electric power plants in order to address climate change. Discusses carbon capture and storage technology and comparisons with cap-and-trade programs. Copyright 2009 Pew Center on Global Climate Change.